On July 2, 2018 the Baltic American Chamber’s (BACC) of Commerce members, friends and partners met the Baltic States Fancy Food Show NY participants. The owners of the Manhattan catering company enthusiastically forged relationships with Latvian dairy companies and initiated deals for possible tasting campaigns of Estonian food. Marketing and business advisors provided suggestions to Baltic food producers on how to successfully enter the U.S. market. 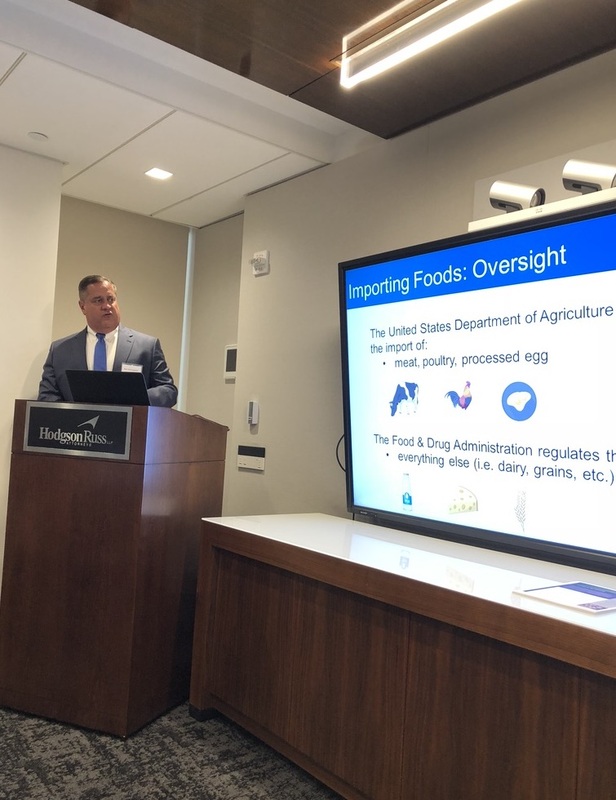 Robert McLaughlin, Partner at Hodgson Russ highlighted U.S. food regulations to the Baltic producers. Rabbi Wilschanski, Key Accounts Manager at OK Kosher Certification Organization discussed the advantages of being certified Kosher in the U.S. Mr. Rabbi pointed-out that, Kosher food is a $12.5 Billion industry and growing with a sustained 15% growth rate year over year. This is a nice a niche where the Baltic companies could get in to this extremely competitive market. The event was very informative and useful in establishing new and useful contacts, said Jānis Šolks at Latvian Dairy Committee, because, companies are looking for the right expansion opportunities in the U.S. but are faced with a lot of unanswered questions. An expanded yet scoped contact list will aid in getting the right answers immediately. To have a place where you can present your industry to potential customers is one of the best marketing strategies going. Smart and targeted networking provides exposure to all interested parties and affords an ability for specific clients and customers to immediately reach out to one another, emphasized Inga Klimasauskiene, the head of BACC. This was obviously learned by Latvian and Estonian food producers.